Meet Lisa, our Shelter Manager. She was born and raised in Plattsmouth, NE and currently lives in Beemer with her husband Russel. 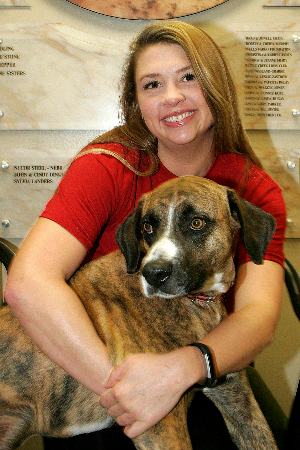 After spending four years in the US Army as a veterinary technician, she continued working in the animal care industry. She recently received an Associates degree in Animal Science and plans to continue her education in the field of animal behavior. When Lisa is not working at the shelter, you can find her spending time with her dogs, cats or horses. Meet Amber Anderson, our Public Relations and Fundraising Manager! Amber is a Norfolk native graduating from Norfolk Catholic. After high school she went on to Northeast Community College then Wayne State College receiving degrees in Marketing and Business Management. Amber loves spending time with her family which includes her rescued Mountain Cur, Vinnie, who was brought to the ASNN from Texas during Hurricane Harvey! Before the ASNN Amber worked in Commercial Real Estate for many years and she says she is very much enjoying the change now working for a non-profit! Meet Lora, our Operations Supervisor. Lora was born and raised in Norfolk and went to Norfolk Sr. High. She graduated from Wayne State College in 2013 with a Bachelor of Science degree in Studio Arts (really putting that to use huh?). She is married to her wonderful husband, Jonathon and has two kids, Jayden and Lydia. She also has 2 dogs and 2 cats, half of which have been adopted from the ASNN. Lora loves to paint in her free time and do do-it-yourself projects. Meet Kathy, our Animal Care Supervisor! Kathy was raised in Fremont and settled in the Norfolk area with her family. Kathy received her Associates Degree in Business Administration from NECC. Kathy brags about her wonderful husband, Ken, and her two children, Kevin and Kourtney. She currently lives south of Stanton on an acreage with her four dogs, one house cat, numerous barn cats and nine horses. Meet Mary Sanders, the coolest Animal Care Assistant around! Mary has spent her life in Norfolk, always remaining close to her family and friends. 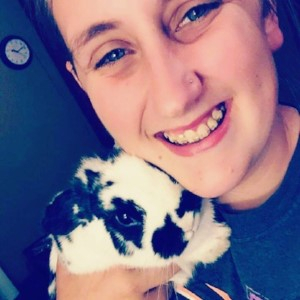 She will graduate from Northeast Community College in December of 2018 with an Associates degree in Science and also has a lot of education and experience in the veterinary field. Mary has two amazing dogs named Bullet and Brody and two of the cutest rabbits known to man, Bandit and Bonnie! When Mary is not spending time with her family or saving the lives of animals, she is probably taking a nap because saving lives is hard work. Meet Ellie Peters! 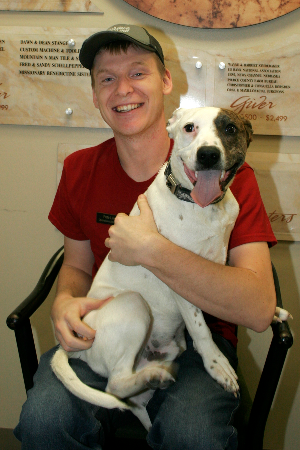 As an employee of the animal shelter, Ellie is referred to as "The Animal Comfort Specialist". From the time she spends at the shelter, she has become a professional dog spoiler and cat scratcher. Other than the 5,000 animals she wants from the ASNN, she has 2 cats and 1 dog of her own at home. In the future, Ellie plans on graduating from Pierce High School and attending vet school. Meet MacKenzie "Mac"! Mac is currently a Sophomore at Pierce High School. Mac has two cats, Willow Jean and Purl Jane and one dog, Quincy John. After high school Mac plans to go to college to study to be an exotic animal Veterinarian. Meet Gus Doescher, the Assistant Manager. Gus spends a lot of his time at the shelter playing with his sister, Jojo but he does have a few very important responsibilities at the ASNN. 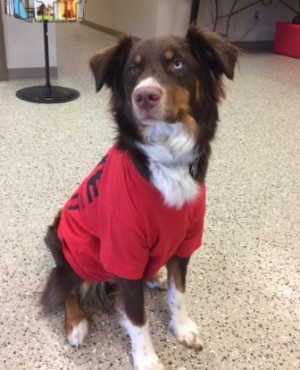 Gus started off greeting two-legged and four-legged visitors at the door and we quickly realized his calm demeanor made him an asset to the shelter as a "test dog" as well. Gus is very "neutral" when it comes to new dogs and cats so we are able to use him to "test" new dogs and cats to learn more about their behavior when meeting new dogs. Gus has also become an advocate for shelter dogs. He goes along for presentations about the shelter where we talk about what we do and most importantly, how to properly care for a pet.